Freshwater fish diversity is harmed as much by selective logging in rainforests as they are by complete deforestation, according to a new study. Researchers had expected the level of damage would rise depending on the amount of logging and were surprised to discover the impact of removing relatively few trees. There are many types of logging that occur in rainforests, from 'selective logging' – only taking certain species – to complete logging and the transformation of the rainforest to oil-palm plantations. Different types of animals react to these changes in often complex ways. However, a new study published today in Biological Conservation shows that for freshwater fish, any logging is too much. The team, led by Imperial College London, found a drop in fish biodiversity – the number of different species – across all logging types. The authors of the paper say the result suggests a rethink in how freshwater ecosystems are protected in these forests. Lead author Clare Wilkinson, from the Department of Life Sciences at Imperial, said: "That such a small change can impact fish biodiversity is shocking and worrying. We expected to see a gradient from least affected in the selectively logged areas, to heavily impacted for the streams in oil palm plantations. Instead, we saw almost the same level of fish biodiversity loss in all altered environments." 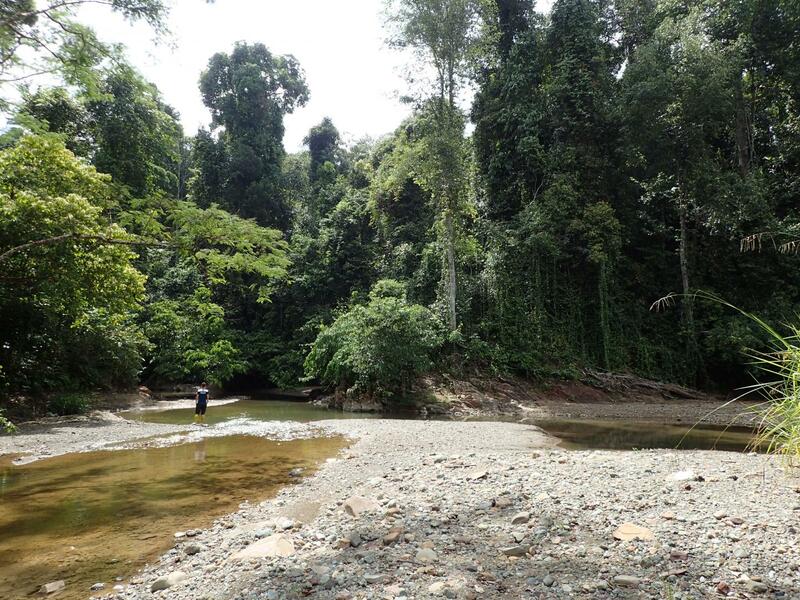 The team sampled 23 streams in Borneo as part of the SAFE (Stability of Altered Forest Ecosystems) Project, which investigates environmental changes across a gradient from primary forest to oil palm plantation. They found that fish diversity was decreased in all logged areas compared to within virgin forest, and that the time since logging did not affect the level of change. All logged regions suffered similar levels of losses irrespective of whether only select trees were taken or all of them, or whether the logging was recent or further in the past. Researchers believe the reasons for these dramatic changes are likely to be down to a range of factors that affect stream habitats when trees are lost. Trees provide shade, creating cooler patches of stream that many fish need to spawn. Older, taller trees provide more of this shade, but they are the ones usually removed in selective logging. Leaf litter from these trees also helps to keep the streams cool and to concentrate food sources. The loss of trees also increases soil erosion, meaning banks are more susceptible to collapse and more sediment ends up in the stream. This had the effect of making streams shallower and wider, limiting the types of species that can use the habitat. For oil palm plantations to be labelled 'sustainable, they must include a riparian zone – a buffer of forest land immediately bordering streams – of at least 30 metres. However, in none the streams sampled in oil palm areas in this study, did the presence of a 30 metre riparian zone reduce the damage to fish biodiversity. Wilkinson said: "The freshwater fish in these streams are a food source for local people, so maintaining biodiversity is important. Our study suggests that current protections are not good enough in that they do not prioritise conserving intact forest, and are not sufficient to protect fish in more altered environments."